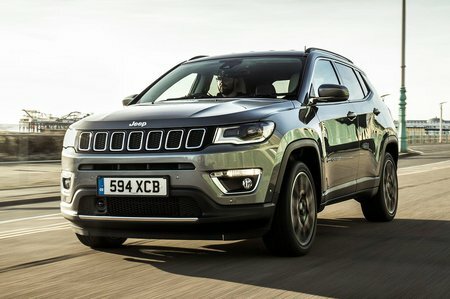 Jeep Compass 1.6 Multijet 120 Limited 5dr [2WD] 2019 Review | What Car? What Car? will save you at least £1,211, but our approved dealers could save you even more. As well as the 8.4in infotainment screen, Limited models get a larger 7.0in colour instrument cluster that displays information such as sat-nav directions and vehicle settings. You also get larger 18in alloy wheels, front and rear parking sensors, blindspot recognition, parking assistance, eight-way power and heated seats, as well as rain-sensitive windshield wipers. This diesel engine is only available with front-wheel drive but, in regular driving, you’re unlikely to notice the absence of four-wheel drive. The engine is quite peppy and has decent low-down pull.